• Subscriptions auto-renew at the cost of the chosen package, unless canceled 24-hours in advance prior to the end of the current period. • The fee will be charged to your iTunes Account at confirmation of purchase. • You may manage your subscription and turn off auto-renewal by going to your Account Settings after purchase. Per Apple policy, no cancellation of the current subscription is allowed during active subscription period. Once purchased, refunds will not be provided for any unused portion of the term. • Any unused portion of a free trial period, if offered, will be forfeited when you purchases a subscription. Third review: Raising back to 4 stars as the developers FINALLY listened to the negative feedback regarding the icon and name change and allowed users to chose the app icon they wished. Now if they allowed the cake icon to be labeled B-Days as it was before the upgrade to “hip” it would get 5 stars from me. I still fail to see what they hoped to gain by their initial action and obstinate refusal to listen to the criticism of their users. Still the best B-Day app with unique gift suggestions. Second review: Lowering my rating another star as the developer doesn’t seem to lister to users. Click on “Most recent” reviews and the majority complain about the icon/name change. I think it’s time for a change. There is Birthday Reminder Pro+ on the App Store. Less money and a higher rating...and the icon has balloons and the word “Birthdays” on it. Change the app icon and keep up the good work. Thanks for sharing. We love hearing feedback from you. We think of hip as representing how we want to help people celebrate. To keep you connected and original, making life’s many occasions, not only birthdays and anniversaries, special! As we grow, we want to capture this essence, and hip allows us to do that. You can read more here https://medium.com/@hipapp/hipping-hopping-to-a-new-us-f8a78ddd5173. There is a slight bug. If you expect the reminder to occur right at midnight that is not happening. During the months of Jan, Feb, Nov and Dec the reminder indicates 1 hour later than if the birthday was one of the other remaining months. Also, why would it not allow future dates? For example, if i am adding in a retirement date as my special day I cannot do it since I cannot go beyond 2018. Or what if I want to make my daughter's graduation in 4 years a special date to remember? It would be nice also if the days to someone's birthday allows you to select not just 61 days but 2 months - 1 day. Should be an option to make this app better. Thank you so much for this feedback! The bug had been resolved earlier in the year, and it is now possible to change the countdown type. Future events is definitely something we are looking to add soon! This app was a fine replacement for my old birthday reminders app that was apparently abandoned by its developers—right up until the time the developers had the utterly boneheaded notion to change both the name and the icon. 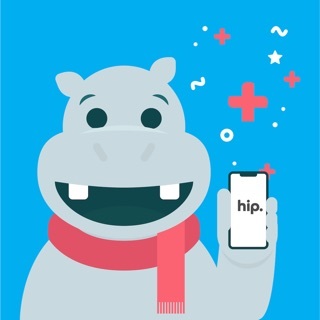 Make no mistake, the app still works fine, but when you’re looking through page after page of your iOS apps looking for the one with the list of upcoming birthdays, a cartoon hippo head does NOT connote that meaning. Whoever in marketing came up with this idea and whoever in management approved it should be fired for sheer incompetence. Apple is about “just works.” Neither the name nor the iconography “just works” anymore, making this the antithesis of a good product for the Apple ecosphere. Hello and thanks for sharing. We love hearing feedback from you. We think of hip as representing how we want to help people celebrate. To keep you connected and original, making life’s many occasions, not only birthdays and anniversaries, special! We want to reassure you that hip will continue to deliver a one of a kind experience and features that help you celebrate all of those special moments and life events. This is our guarantee to you, rain or shine, regardless of our app name or icon.